If you are looking for winter sun, a cruise to Dubai and the Arab Emirates is a fantastic choice. One of the world’s most exciting and popular destinations, Dubai is the place where you can relax, sunbathe or shop to your heart’s content. Dubai is home to a feast of attractions including the tallest building in the world, read more about what to do in Dubai. 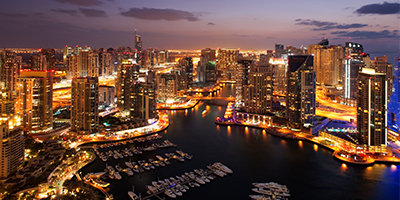 A cruise to Dubai may also include Abu Dhabi, Oman and Bahrain, all unique and captivating locations for you to explore and each with a flight time shorter than the Caribbean. More and more, we're finding cruise passengers are opting to add extra nights to their Dubai cruises so that they can really make the most of their time in this unique destination that has so much to offer. 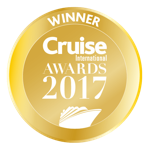 If you would prefer to spend more time in Dubai than a cruise will permit, why not try one of our Dubai cruise and stay 2018 holidays? If the unique culture and customs from a cruise to Dubai intrigues you, then you will love the mysteries and ancient wonders you can discover on a Red Sea cruise. New in 2016, Celebrity Cruises announced exciting luxury Arabian voyages including Abu Dhabi and Emirates maiden sailings. Experience pure class and book a fly cruise departing from the UK and meet your ship to embark on an amazing Middle Eastern Adventure. Cruises from Abu Dhabi promise first rate excursions and luxurious added extras including overnights and hotel stays in Dubai, stop offs in Muscat and time to explore Khasab. To enrich your Arabian adventure, make sure that you take some shore excursions to the mainland to experience this beautiful part of the world first hand. Steeped in cultural heritage, these fascinating ports of call will awaken your senses and leave you with a greater understanding of their colourful coastlines. Dubai is one of the most exclusive cities in the world, with exceptional shopping centres, stunning beaches, world class golf courses and a unique landscape. Dubai is truly a place of interesting contrasts with a mixture of traditional architecture and state of the art modern buildings. The Palm Jumeirah is built on an artificially made island and the iconic Burj al Arab with its sail-like facade, stands over 300 metres tall. While on a shore excursion, be sure not to miss the vibrant spice souk (market) and the glittering gold souk, overflowing with flawless fine jewellery. Once reputed for seating one of the world's oldest civilisations, Bahrain is now known for being a relatively liberal and modern Persian Gulf country. Enjoy one of the oldest customs of drinking coffee on this island kingdom or digest some of the rich tapestry of local history in one of the many museums. Sail on a traditional dhow and don’t miss a visit to the Al Fateh Mosque, the largest in Bahrain. Arrive on the shores of Abu Dhabi and you will be greeted with a friendly, hospitable welcome. This stunning capital city of UAE is a juxtaposition of ultra-modern sophistication and Arab charm. You could shop in the grand malls or barter in one of the many colourful souks. You could travel in style in a cool air conditioned limo or ride through the desert on a camel. You could even enjoy a little 5 star gastronomic hospitality away from your ship; or sample some of the local Bedouin generosity. Witness a world-class event at the Abu Dhabi F1 Grand Prix for a day to remember or be wowed by the lavish Emirates Palace and Sheikh Zayed Grand Mosque Centre. Whichever way you choose to discover this country you will be fascinated and you will be filled with incredible life long memories. Your first impression on docking into Muscat, the capital city of Oman, is one of supreme power, reflected in its three forts overlooking the entrance to the port from where amazing panoramic views of the harbour and old city are afforded. A shore excursion will reveal luxurious palaces as well as the beautiful pink marble gilded domed Zawawi Mosque. Visit Salalah for its fascinating lost city of Ubar, natural beauty and colourful heritage. A new and upcoming destination, more cruise lines are sailing to Sir Bani Yas Island than ever before. Fantastic for families, over half of the island is covered by a wildlife park consisting of over 13,000 species. There is a multitude of activities you can do in this fun-filled destination, such as snorkelling, diving, archery, horse riding, mountain biking, hiking and much more.